On our sahaja blog we introduce various types of music and musicians, we write about ragas, bhajans, but also about folk, rock, and pop. We notice connections between East and West which blend together in several cultures and nations. We would also like to bring to your attention music which is different and which has never been here before. It is light, ethereal and made for resting. 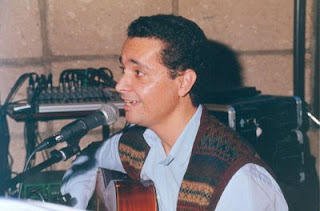 This music is music of Sergio Elias from Canary Islands. Below you can find interview of Christina Radu with Sergio. How do you remember your music beginnings? By the age of 14 you had already played the guitar and the piano, and the first teacher who used to teach you the island music was your father… What were those times like? Well, these were very joyful times. My father liked very much the local folklore of the Canary Islands, and we used to rehearse together. My father mainly taught me how to play the guitar, and also a local instrument, typical of the Canary Islands, which resembles a very small guitar, with 5 chords, called „timple“, and with him I learned how to play these instruments and how to sing the so-called „cantos canarios“ (Canary songs) which are typical songs for these islands. Then I also learned basic notions about harmony and chords. Those years were very special for me as we practiced music very frequently, my father and I. You travelled and performed in various clubs and Spanish restaurants all over Europe. What is playing in such places (different from music clubs or halls) like, what is the contact with the people? I did these many years ago, and the main objective was simply to finance my travels. As at that time I was a student and I didn’t have much money, and so what I did was, when I arrived in a city, I looked up the Spanish restaurants in the Yellow Pages of the telephone book, and I called them, went there and sang some typical Spanish songs, and so I made some money in order to keep on travelling. It was an alternative way of getting resources in order to be able to travel. This turned out very well, the public was very open and was reacting very well, because in other countries in Europe, in general, Spanish or Hispanic music is usually very well received. 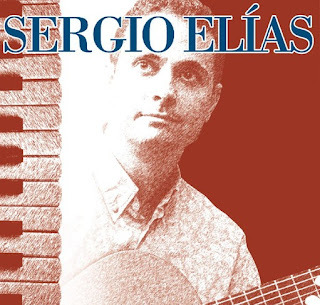 Your first album Sergio Elias is full of peace and rhythms. For those of us who cannot speak Spanish the album is percieved mainly by music and mood. The compositions seem to be very light. Is it difficult for you to write songs in the style of jazz, bossa, folk, bolero, samba etc.? Is it an echo of your previous experience? Well, we Sahaja Yogis have a great blessing, which is having our Kundalini awakened by our Mother, and this Kundalini gives us the connexion, which is the Yoga, and the inspiration comes very naturally hand in hand with Kundalini awakening. And so many of these songs have come up after a meditation. The first song, for instance, came up after a siesta, and music, really, when you have this inspiration... the effort is practically zero, it’s like if the music was being dictated to you, it’s something very simple and joyful. On your web you also talk about your spiritual faith. Sahaja yoga is the only possible way for you how to be connected to Divine. How did you come across it? Let´s say something about one of your new song on your web – Ady Shakty. Can you tell us anything? 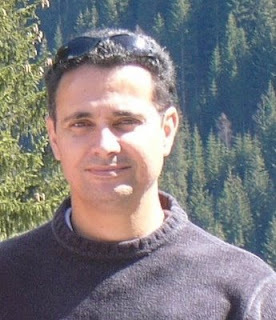 This song came up during a sahaj tour of Spain, which was very special for me, because one of the participants in this tour was professor Subramanian of the Vaitarna Academy in India. We went through various cities, and when we reached the North, in a city called Gijon, in the Asturias region, he told me „it is good that we sing in Hindi, Marathi and Sanskrit, but as we are now addressing to Spaniards, we should also sing something in Spanish“ and just after he told me that, after about an hour came to me the idea of this song, and the text is very simple, „Shri Adi Shakti Nirmala Devi...“, but the intention is just to let the seekers know that the moment of truth has come. As a musician and a yogi, you are the "author" of an interesting concept that many artists would like to master: "Shine without showing off". Could you please explain this? Well, there is a talk of Shri Mataji where she speaks about the attention, and it is very interesting because she says that when we have successes, our ego gets inflated, and when we have like small failures, our superego inflates. I think the play consists in having successes and then abandoning them to the feet of Mother, so that our ego doesn’t inflate, because if it does, we are going against our spiritual growth, because growth happens in humility. So this „shine without showing of“ means, on one side, that Mother is the one who does everything, and it is thanks to Her that we can shine, and the „not showing of“ part means not to inflate the ego, because if we do that we hamper our evolution, and if it gets very big we become like stupid, we do very stupid things. You can spread on the message of Shri Mataji with your music. You have concerts quite often, how could listeners see or hear you? Have you got a dream which you would like to realise? and I intend to do everything possible to make my music known. The dream I have is to be able to give concerts, to sing in the name of Shri Mataji, to be able to transmit the joy of the Spirit to the audience - be they only 4 or 5 persons, for me it is still a great joy. I would be very happy to travel anywhere in the world to give concerts for Sahaja Yoga, and I can cover all expenses related to my travel including air fares, within a reasonable limit. Thank you very much, Sergio. You can find and listen on Sahaja radio !! !